Adams Autoworx is a full service auto repair shop in Castro Valley. We are one of the few shops in the area that can service all makes of cars, light trucks, SUV’s and Hybrids. We employ ASE Certified Master Technicians that combine extensive knowledge and skills with years of practical experience servicing and repairing cars raging from Acura to Audi, from Ford to Honda and Lexus, and from Subaru to Toyota. Such broad experience allows our technicians to understand cars and automotive repair at a level not available to those who narrowly specialize in just a few makes. At Adams Autoworx we can service your car, diagnose even the most intractable problems, and have them repaired, often the same day. We strive to partner with you to "Maximize Your Transportation Dollar"
Whether you drive a Ford F150 that needs a minor service, a GMC that needs its brakes replaced, or a Subaru with a check engine light, you can count on Adams Autoworx to diagnose the problem and offer solutions that make sense. This allows you to make informed buying decisions. And yes, at time the solution we might recommend will be to not repair the car – we don’t want you throwing good money after bad – every vehicle will get to the point where spending more money on it will not provide a reasonable chance of economic return. We will coach you through these tough life decisions if you would like, and even help answer questions about potential new vehicles. In the meantime, we recommend regular service to keep your car in top condition, and a reliable vehicle for your transportation needs. For your convenience, we open at 7:30 am M-F, and 9 am on Saturdays. 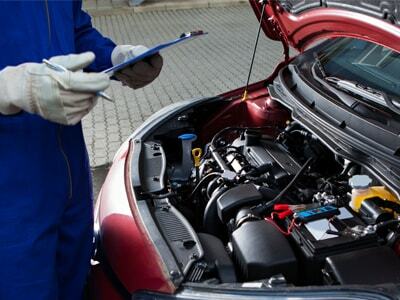 Whether it’s a routine checkup, or a major problem, bring your car to Adams Autoworx Auto Repair in Castro Valley and experience the difference – get the full service auto repair shop experience.